For organisations providing a service to customers (ie. most organisations), there will be times when the service delivery doesn’t match the customer’s expectations. This occurs when the customer’s expectations are not clearly understood or managed. Organisations that are specifically service-based, differ from those that manufacture products. In both instances, there is a requirement that needs to be satisfied. However, while we can measure when a product is delivered, or if it meets a design criteria, we often struggle to quantify if a service is satisfactorily delivered. In many instances, we don’t even try; we don’t know how many repeat customers we have or how many went elsewhere and never return after experiencing our service. In delivering a service to your customers, do you ask if they are satisfied? Do you do this as a matter of course? Is it part of your standard procedure? If you don’t, how would you do this? What opportunities do you have to solicit their feedback? The answers to these questions will depend in part on the actual service you are providing. The duration of the interaction you have with your customer will impact on your capacity to seek their feedback. For example, how much time do you spend with a customer in identifying their needs and then fulfilling them? After you have delivered your service, how long does your interaction with the customer last? Do they have the opportunity to assess the service and provide feedback before you break contact with them? Do you conduct any additional follow up with them? For example, as customers, we can easily identify when a meal is not to our expectation. We can readily identify our concerns to the restaurant staff. If the fuel economy on our car is excessive following a routine service, do we identify this to our mechanic? Do we even know? If we are a tour operator, the perception of customers at the beginning of their holiday may well be different than at the end of their holiday. How do we capture that? As customers, when do we decide that a service is not adequate? It may be almost immediately, or it may be some days or even weeks later. As a provider of services, we need to identify that our customers may not be in a position to assess our service delivery for some time. When our customer’s expectations are not met, what do we need to do to recover this failure? What strategies do we have in place for effective service recovery? 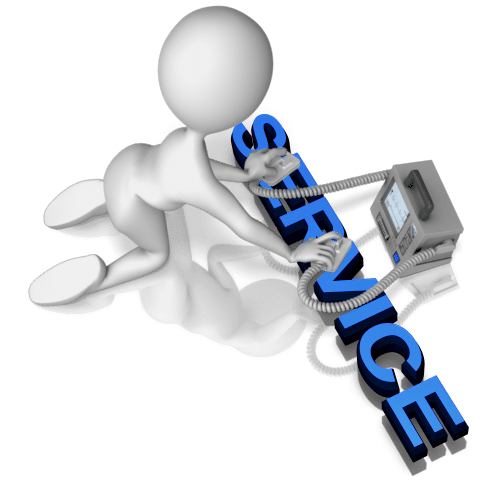 Do we provide a service guarantee? Is it effective? The first rule of service quality is to do it right the first time. But we need to remain receptive to feedback and the opportunities to solicit additional feedback even after the financial transaction is completed. And when things do go wrong we need to act quickly to fix them and be in a position to provide solutions. We need to remain aware that the opportunity to fix issues has a very finite window – the service recovery window. Our capacity to provide solutions where and when they are identified is incredibly important for maintaining our customer relationships. How we manage service failures and our response, will directly impact our future business and our bottom line. The key to minimising service failures is in having a clear understanding of our customer’s (every changing) expectations. If we are actively seeking to continuously improve our service delivery, then the number of potentially dissatisfied customers should be few. At the same time, this doesn’t mean that we can perceive all possible points of failure and just hoping that things won’t go wrong. Rather it is necessary to have a plan of what actions we will take when service failures do occur. To discuss customer service strategies, service recovery or placing the customer at the centre of your business, go to our contact page.